Nikkei reports that Canon will supply image sensors to other manufacturers for the first time, anticipating demand for the technology in building self-driving cars, robots and other smart devices. The plan is to start sell sensors within two years. The company has already assembled a team to launch the business. Canon manufactures its image senors at two plants in Kanagawa Prefecture near Tokyo and one in southern Japan's Oita Prefecture. So far, all the capacity is used in the company's digital cameras and some video cameras. With the camera market shrinking, Canon aims to offset a decline in sensor output. Not to clash with Sony and others already holding substantial shares of the market for general-purpose CMOS sensors, Canon intends to supply specialized devices for automotive and industrial applications. Besides cars and robots, it envisions its sensors helping guide drones, as well as sharpening the vision of traffic-monitoring systems. However, other image sensor manufacturers are also pursuing automotive and industrial applications. Canon's in-house supply of CMOS sensors ranks fifth in the world in terms of value, with a roughly 5% market share, according to Tokyo-based TSR. Sony leads the market, with a 40%-plus share, followed by Samsung Electronics at nearly 20%. Canon is working on Super Machine Vision (SMV), a next-generation vision system that surpasses the abilities of the human vision system, by leveraging its dual-pixel AF from cameras and business machines while also taking advantage of the image-recognition and data-processing capabilities employed in face-detection and character-recognition technologies. In an unrelated news, Canon develops a global shutter CMOS sensor that achieves expanded DR through new drive method. When the newly developed CMOS sensor converts light into electrical signals and stores the signal charge in memory, the new drive system is said to achieve a significant expansion in full well capacity. Also, because it employs a structure that efficiently captures light and each pixel incorporates an optimized internal configuration, the sensor makes possible increased sensitivity with reduced noise. The expanded full well capacity, realized through the sensor’s new drive system, and substantial reduction in noise, enabled by the new pixel structure, combine to deliver a wide dynamic range, facilitating the capture of high-image-quality, high-definition footage even when shooting scenes containing large variances in brightness. 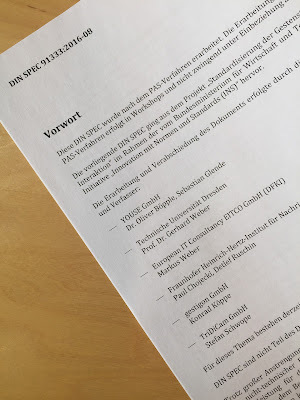 Update: The GS WDR sensor announcement appear to be Canon marketing answer on the critics of its new full-frame 5D IV DSLR. DPReview, among other sites, says that the rolling shutter artifacts are quite significant and the DR is noticeably lower than the competing full-format cameras. Digitimes reports that the demand for iris and face recognition processors for smartphones is to surge, according to the newspaper's industry sources. Pixart is expected to be among the first China and Taiwan-based players capable of rolling out related solutions. Pixart has already submitted iris recognition and eye tracking patent applications in the US, said the sources, and is set to launch related solutions as early as 2017. Another Digitimes article says that Xintec is to start fulfilling orders for iris-recognition solutions in Q4 2016, according to a Chinese-language MoneyDJ.com report. The mass production of the iris-recognition chips is expected in 2017, which will boost the backend house's revenues for the year. New orders for the iris-recognition sensors include those for the 2017 model of iPhone, the watchers were also quoted in the report. "The goal of this document is to give the reader a better understanding of the underlying theory of augmented reality systems and which adaptations can decrease the cost of such systems, while maintaining a good experience. The requirements on the including hardware parts will be explained, before summarizing the manufacturing process and highlighting features of the including software. Finally the system will be evaluated, by conducting a user study on depth perception." "ULIS, a subsidiary of Sofradir, specializes in designing and manufacturing innovative thermal image sensors for commercial and defense applications... 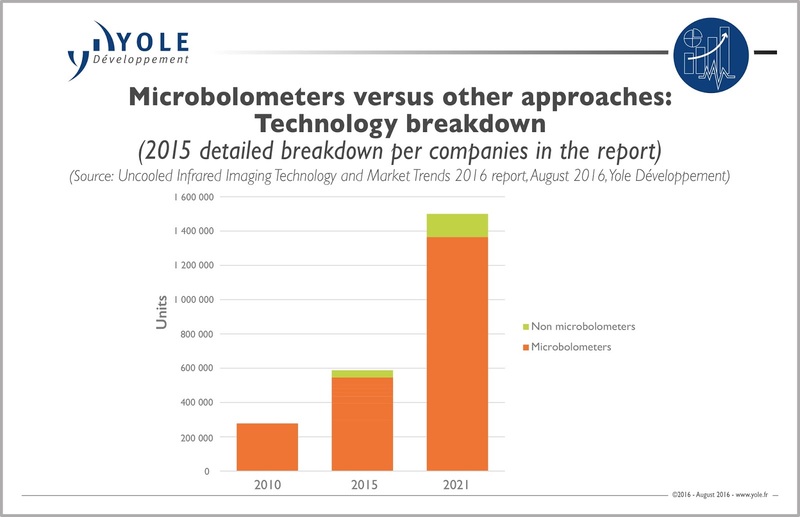 Founded in 2002, ULIS has grown to become the second largest producer of thermal image sensors (microbolometers)... ULIS is active in the surveillance, thermography, defense and outdoor leisure markets where we already sold more 500,000 thermal sensors worldwide. ...ULIS experienced strong growth in 2015, with close to a 20% increase in volume sales over 2014. Not due to exceptional event, growth we saw is supported by an increase of the demand coming from all the markets; 2016 signs remain as so positive and we expect to reach at least the same growth." "The P9 camera module, with dimensions of 18 x 9.2 x 5.1mm, is equipped with two sub-modules each including a Sony CIS, a closed loop voice coil motor (VCM) and a 6-element lens. Doubling the number of cameras gives more light, vivid colors and crisper details. Moreover, it compensates for the fact that the module is provided without optical image stabilization (OIS). The CISs are assembled on a copper metal core 4-layer PCB using a wire bonding process. An external image processor chip is present on the phone’s printed circuit board (PCB)." "The thermal camera uses a new 17µm pixel design from I3system. The I3BOL384_17A microbolometer features 384 x 288 pixel resolution, 6 times the resolution of the FLIR Lepton 3. The sensor technology in the I3system component is a titanium oxide microbolometer, technology which is not covered by Honeywell patents. The I3BOL384_17A is the consumer version of a military microbolometer." FoxNews: US startup Nutonomy managed to beat Uber starting its autonomous taxi trial in Singapore. Currently, their autonomous fleet has just 6 Mitsubishi i-MiEv electric cars, with the planned full launch of the service in 2018. 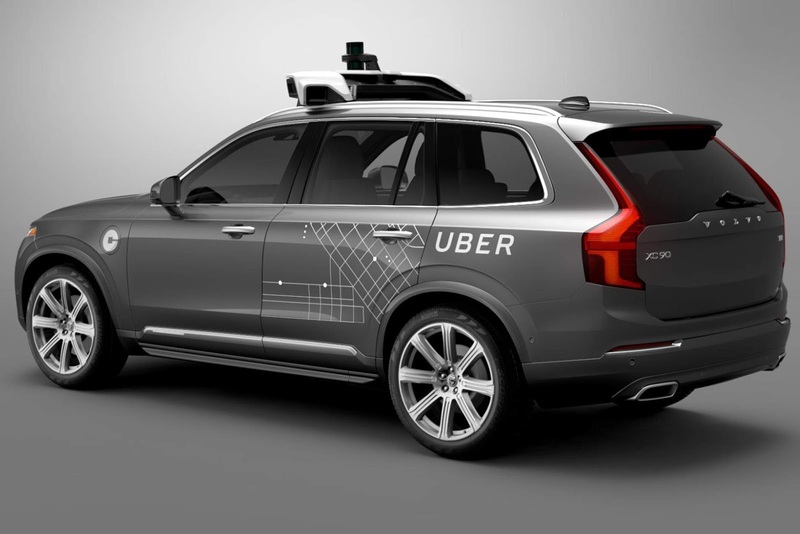 Meanwhile, Electronics Weekly published the details on Uber's acquisition of Otto, a startup retrofitting tracks with self-driving equipment. The 6-month old startup based in a garage south of Market Street in San Francisco was acquired for $680M plus 20% of any profits it makes from trucking. Otto has retrofitted five trucks so far. 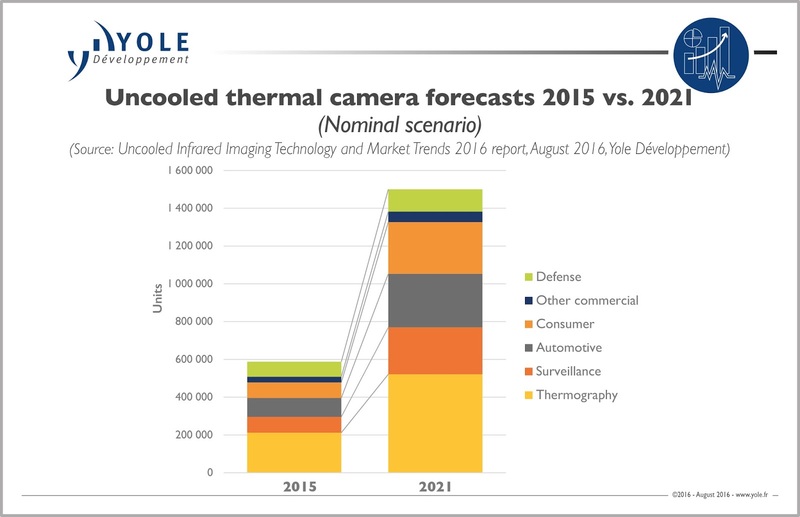 Thermography, which will account for 521,000 units in 2021. In 2015, thermography was still by far the main commercial market in terms of both value and shipments. “Since 2013, Fluke and FLIR have introduced several new products with lower pricing, which has boosted sales,” comments Dr Mounier. The trend towards lower-end thermography cameras has also prompted the introduction of low-resolution technologies such as pyroelectric sensors, thermopiles, and thermodiodes. From its side, the automotive market segment will account for 284,000 units by 2021, according to Yole’s analysts. Automotive market shipments grew 15% in 2015, although the growth rate was down from 30% in 2014. Total automotive sales, including OEM and aftermarket, accounted for less than 100,000 units in 2015, generating US$61 million, which reflects strong price erosion. Ultimately, surveillance and security applications will account for 248,000 units in 2021. Surveillance market shipments grew 32% in 2015 due to price erosion and the growing number of suppliers. Until recently, thermal cameras have primarily been used in high-end surveillance for critical and government infrastructure. However, new municipal and commercial applications with lower price points are now appearing, including traffic, parking, power stations and photovoltaic plants. Open-access Sensors journal publishes a paper "Towards a Graphene-Based Low Intensity Photon Counting Photodetector" by Jamie O. D. Williams, Jack A. Alexander-Webber, Jon S. Lapington, Mervyn Roy, Ian B. Hutchinson, Abhay A. Sagade, Marie-Blandine Martin, Philipp Braeuninger-Weimer, Andrea Cabrero-Vilatela, Ruizhi Wang, Andrea De Luca, Florin Udrea, and Stephan Hofmann from University of Leicester and University of Cambridge, UK. The paper reviews graphene photodetecting approaches for visible, Terahertz and X-ray bands. "The future applications of single photon counting photodetectors requires high detection efficiency with wavelength specificity, good temporal resolution and low dark counts. Graphene’s high mobility, tunable band gap (in bilayer graphene), strong dependence of conductivity on electric field, and other properties make it particularly suitable for this application. Here graphene acts as an (indirect) photoconductor with a high gain of transconductance due to the sharp field." EETimes: Microsoft says that HoloLens processing unit (HPU) fuses input from five cameras, a depth sensor and motion sensor, compacting and sending it to the Intel SoC. It also recognizes gestures and maps environments including multiple rooms. The TSMC 28nm HPU packs 24 Tensilica DSP cores and 8MB cache into a 12x12mm package with 65M transistors. A GByte of LPDDR3 is included in the HPU’s package. 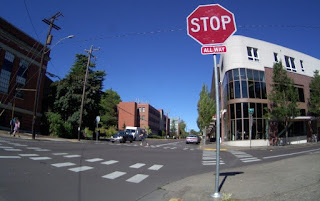 "When you think about what is needed to bring the Level 4/5 autonomy to series production, there is sensing – interpreting sensing on one hand, building an environmental model where all the moving objects and obstacles and all the path and symmetric meaning, but there is another component to it, which is being able to merge into traffic in a way that mimics human driving behavior. And there is machine intelligence to be ported into this. And there is a synergy between Delphi’s core IT in that area and Mobileye's core IT in that area and together we can bring a new class of machine intelligence into this project. ...as you can imagine just given the level of technology required and the amount of integration, on a combined basis [our investment] is hundreds of millions of dollars." GlobeNewsWire: TowerJazz and TowerJazz Panasonic Semiconductor Co. (TPSCo) announce a new state of the art CIS process based on stacked deep PD, allowing customers to achieve very high NIR sensitivity and realize extremely low cross-talk while keeping low dark current characteristics, using small pixels and high resolution. This solution targets 3D gesture recognition and gesture control for the consumer, security, automotive and industrial sensors markets. 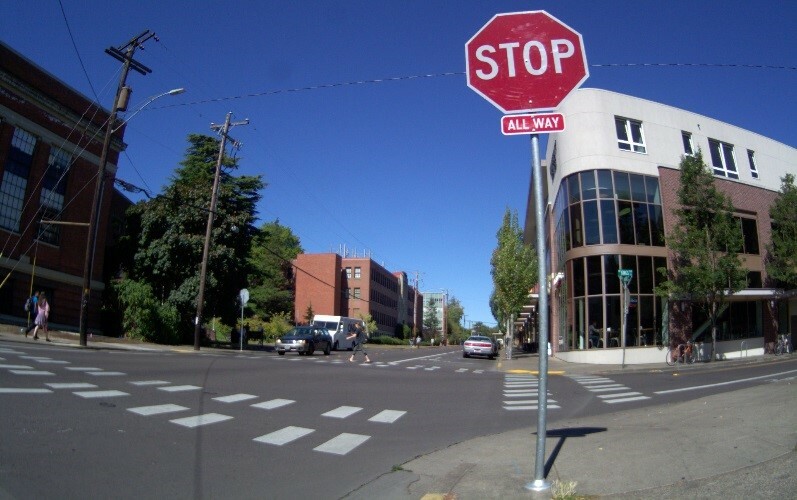 NIR is becoming more and more popular in 3D gesture recognition applications and in automotive active vision applications for better visibility in harsh weather conditions. These ToF applications are using a NIR light source and ToF, creating a 3D image. Current solutions generally use a thick epi on p-type substrate to achieve high sensitivity, but this creates high cross talk (low resolution) and high dark current values. The novel pixel structure developed by TowerJazz and TPSCo has a stacked deep photodiode, providing both high sensitivity and low cross talk at NIR. This allows very low dark current values, especially at elevated temperatures, required in the automotive market. 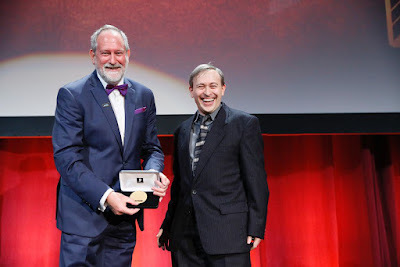 “The tremendously fast growth of 3D gesture application in the consumer market such as PC and mobile as well as in the automotive area will allow us to attract many customers with this technology that is the best the market has to offer,” said Avi Strum, SVP and GM, CMOS Image Sensor Business Unit, TowerJazz. The process was developed on TPSCo’s 65nm CIS technology on 300mm wafers in its Uozu, Japan fab and is already in production for leading edge automotive and security sensors. It will also be available for new designs in TPSCo’s 110nm fab in Arai, Japan and in TowerJazz’s 180nm fab in Migdal Haemek, Israel. CMOS circuit design, including basic logic gates, cell libraries, design flow and terminology. Reliability issues and topics such as electro-migration, latch-up, hot-carrier effects, NBTI, soft-errors (by cosmic rays and alpha-particles), electro-static discharge, etc. The 2016 Harvest Imaging Forum will include a copy of: “Nanometer CMOS ICs, from Basics to ASICs” (Springer 2016) and “Bits on Chips” (Springer, 2016), as well as a hard copy of all sheets presented. Bloomberg, IEEE Spectrum: Starting later this month, Uber will allow customers in downtown Pittsburgh to summon self-driving cars from their phones, crossing an important milestone that no automotive or technology company has yet achieved. Uber’s modified Volvo XC90 SUV. Ford announces the steps to mass produce a fully autonomous driving car in 2021. To get there, the company is investing in or collaborating with four startups to enhance its autonomous vehicle development, doubling its Silicon Valley team and more than doubling its Palo Alto campus. Intel publishes highlights of RealSense camera technology features in its CEO Brian Krzanich presentation. 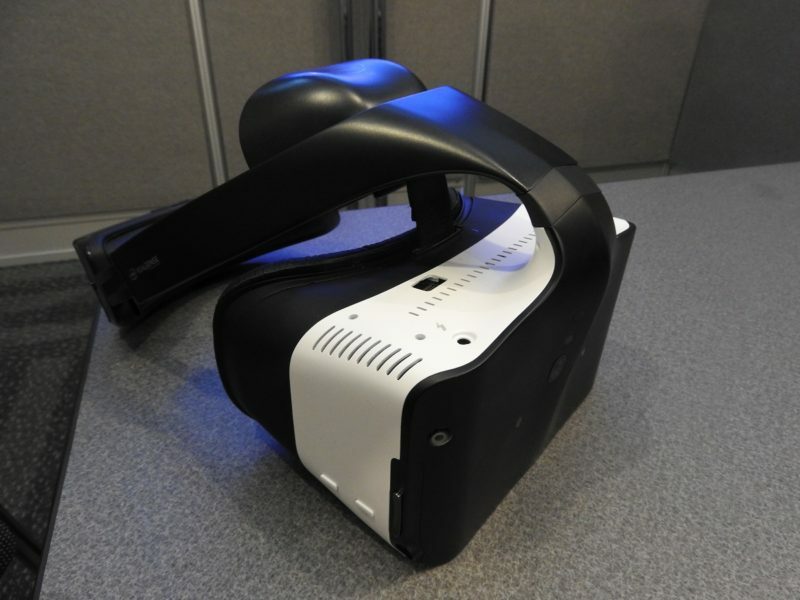 Among other stuff, it features the company Project Alloy "merged reality" headset with embedded RealSense 3D camera. Project Alloy will be offered as an open platform in 2017. Intel announces the next-generation RealSense 400 3D camera offering improved accuracy with more than double the number of 3D points captured per second and more than double the operating range compared with the previous generation. Coupled with support for indoor and outdoor uses, RealSense 400 will enable developers to create new applications. ArcticStartup: Norway’s poLight raises $20M at valuation of $74M. The company has raised a total of $60.4M, and it aims to go public in the near future. “poLight aims to complete an IPO within one year,” the company said. “Over the past 18 months, poLight has been able to significantly mature its technology and have brought a commercial breakthrough for the company’s autofocus lens closer,” the company said. In cooperation with STMicro and THEIL, the company’s assembly partner in Taiwan, the production of the first product, TLens Silver, has been qualified. “The priorities going forward will be to ramp up production and secure the first customer. poLight is in dialog with several potential customers, and several processes to qualify the company’s technology are ongoing,” the firm said. "Night vision system can solve the vision problem in night driving and thus is the first to be used in Mercedes-Benz, BMW, Audi, as well as other luxury cars such as Rolls-Royce Ghost/Wraith, Cadillac CT6, Lexus LS/GS and Maybach S Class. As the core part detector is costly, night vision system hasn't been popularized yet. According to the survey, in 2016, the penetration rate of global automotive night vision system is only 0.47%, of which, Mercedes-Benz, Audi and BMW boast the highest assembly volume, Autoliv serves as the uppermost system provider, and FLIR is the primary supplier of thermal infrared imagers. Global automotive night vision system suppliers are mainly Autoliv, Delphi, Bosch, Valeo and Visteon. Autoliv as the biggest one serves primarily Audi and BMW and accounts for roughly 60% of the market share. In 2016, Autoliv has launched the third-generation night vision solutions, which is said to be the world’s first night vision system that can detect traffic danger and living things in total darkness or fog. In the future, with the growth of ADAS market, night vision system will usher in new development opportunities, resulting in fast-growing demand but also a change in product form e.g. fusion as a function of driving safety assistance system, integration with HUD and intelligent headlamp. Besides, whether active or passive night vision systems the technical defects haven’t been effectively improved, without ruling out the possibility of being replaced by other technologies such as millimeter-wave radar and camera in years to come." "Now let me provide you an update on performance of our business units, starting with Image Sensor Group, or ISG. Revenue for ISG was approximately $173 million, up approximately three percent as compared to the first quarter. We have clearly established ourselves as a technology and market leader in ADAS. We continue to reinforce our leadership position and we are now enabling future autonomous driving vehicles through our expertise in automotive CMOS image sensors. We are working with all major auto OEMs and tier-1 integrators to define next generation platforms. In Korea, we are benefitting from adoption of surround view cameras in vehicles, with strong wins for our CMOS Image Sensor in multiple upcoming models. We are seeing acceleration in revenue for our recently launched 1MP and 2MP CMOS image sensors for in-cabin driver monitoring applications. In the machine vision market, our Python series of CMOS image sensor continues to grow at a rapid pace. 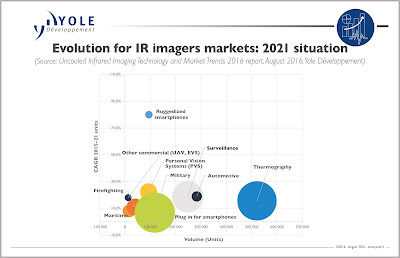 Our CCD image sensors for industrial applications also grew at an impressive pace in the second quarter driven by demand for machine vision applications, such as flat panel inspection. We expect continued growth in our machine vision revenue driven by increased automation in manufacturing, and investments by industrial companies in upgrading their manufacturing capabilities." "The recent staggering success of Pokémon Go has provided a looking glass into the future trajectory of the AR technology and given one early answer for why and how you’d want it to. Since its launch just over a month ago, the AR game has taken the digital world by storm with already more than 100 million app downloads and 20 million active users. Thanks to the viral popularity of Pokémon Go, AR is now getting the attention and consumer validation that we, at Himax, have always known to be possible. While we must give credit where it is due, the AR technology used by Pokémon Go today is still quite primitive. Compared to the AR/MR technologies being developed by our customers and partners, Pokémon Go pales in comparison in terms of how AR can bring alive the consumer experience to interact directly with the physical environment with more sophisticated holographic imagery, 3D sensing and real-time surroundings detection. 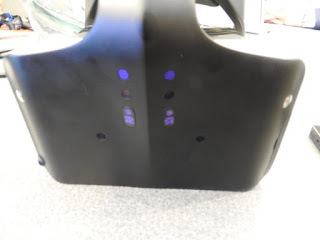 If you have not seen demonstration of AR devices already, its holographic imagery will actually appear on your desk, your chair or walking next to you on the street. Moreover, the world of AR is much more than just gaming. 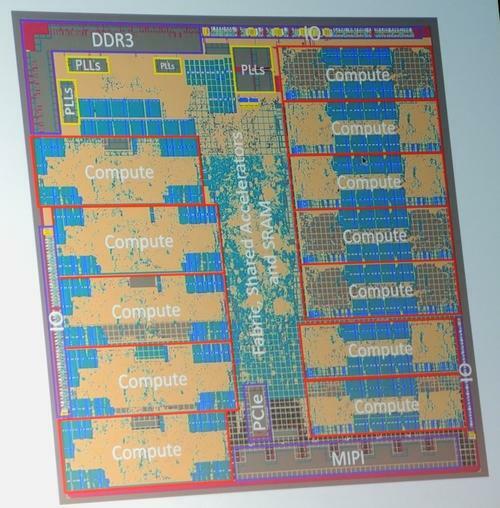 It represents a next generation computing platform. Future versions of the technology will cover both commercial and consumer uses and will be much more sophisticated and produce an endless stream of uses. These could include daily computing in a virtual office, social networking, teleconferencing, etc. Due to the eye-opening effect of Pokémon Go, those who thought AR required several more years to gain traction are changing their models as the game, almost overnight, elevated AR to mass-market and added 10's of billions of dollars to its market potential in the next few years. A new and lucrative marketing tool on top of AR software and applications are being created that will catapult AR device development and intensify further investment in the sector. We believe the path Pokémon Go started will prompt an AR industry that most didn’t think possible before." "Last but not least, we continue to make good progress in two new smart sensor areas which we announced earlier by collaborating with certain heavyweight partners, including leading consumer electronics brands and a leading international smartphone chipset maker. By pairing a DOE integrated WLO laser diode collimator with a near infrared (NIR) CIS, we are offering the most effective total solution for 3D sensing and detection in the smallest form factor which can be easily integrated into next generation smartphones, AR/VR devices and consumer electronics. Similarly, the ultra-low-power QVGA CMOS image sensor can also be bundled with our WLO module to support super low power computer vision to enable new applications across mobile devices, consumer electronics, surveillance, drones, IoT and artificial intelligence. We will report the business developments in these new territories in due course. Regarding other CIS products, we maintain a leading position in laptop application and will increase shipments for multimedia applications." On the earnings side, a decline has been reported in the company's image sensor sales. Pixart reports its Q2 2016 results with a rise in sales of non-mouse products. The revenue increased by 2.3% QoQ to NT$1,051.7 million. The gross margin decreased from 50.9% in previous quarter to 49.9% in Q2 2016. "The software onboard smartphones today is revolutionary. The ability to take pictures in low light, digitally zoom (or crop) without significant resolution loss, and capture moving objects without blur is in large part a function of software, not hardware. In fact many smartphone cameras are designed from the ground up based on software requirements." But Panich believes that the value added by software is likely to slow in the future. 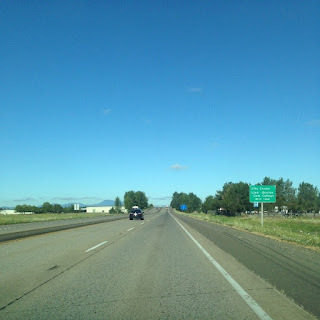 The great achievements of the last five years cannot be matched going forward, at least not without a total reconfiguration of the smartphone camera, which includes the hardware. Some of the ideas being tested are wide angle cameras, attachable camera pieces, pop up cameras, and array cameras. Each has its merits and demerits, and none has set itself apart from the pack so far. "Since the acquisition of LFoundry, we have officially entered into the auto IC market. LFoundry manufacturers above 25% of world's auto CIS. So they would contribute two months of revenue to us in Q3, which is roughly about $20 million to $30 million. In terms of the profit contributions, because right now actually they are running at not high utilization right now, so we expect the contribution to our profit is quite minimal. There will be a limited amount of our CapEx in LFoundry to bring technology that is aligned to SMIC. So there are a few missing tools in LFoundry that we need to procure to ensure the technology alignment. But the total CapEx for the next year will be fairly limited. We'll be trying to leverage the present unused capacity in the most efficient way. Let me just also comment a little bit more on LFoundry. Right now we actually have identified some technology and products that we're going to transfer to LFoundry, that hopefully would help to bring up the utilization in the next three to four quarters. At the same time, we are also leveraging the strength of LFoundry in the auto and CIS area, to re-cross-sell the technologies to our own customer set in China. So we believe actually this acquisition will be -- would create good value for us." AutoSens conference to be held in Brussels, Belgium on Sept. 20-22, 2016 is about to sold-out with roughly twice as many people registered as the original target. “One example of a failure mode that we have identified is concerned with the readout mechanism. CMOS sensors are essentially designed around a CMOS memory architecture. The data flows off the chip one row at a time and that means that these can be susceptible to duplication – at first glance, the visual output might seem OK, but the net effect is that an error on multiple rows might obscure an object in the field of view." a subset of the scene replicated several times. This image down not exhibit unexpected noise artefacts. caused by ‘bit-flip’ a symptom of a signal timing error. "Image sensor safety mechanisms that ON Semiconductor provides in support of the ISO 26262 design process can detect some random hardware failures which can result in image quality degradation, such as that shown here, where a ‘bit flip’ in the design signal timing, produces noise in the second image." PRNewswire: CEVA announces that Rockchip, one of China’s low-cost SoC companies, has licensed the CEVA-XM4 imaging and vision DSP to enhance the imaging and computer vision capabilities of its’ SoC products for smartphones, ADAS, drones, robotics and other smart camera devices. Rockchip will leverage the CEVA-XM4 for low-light enhancement, digital video stabilization, object detection and tracking, and 3D depth sensing. In addition, the CEVA-XM4 will enable Rockchip to use the deep learning technologies utilizing CEVA’s Deep Neural Network (CDNN2) software framework. 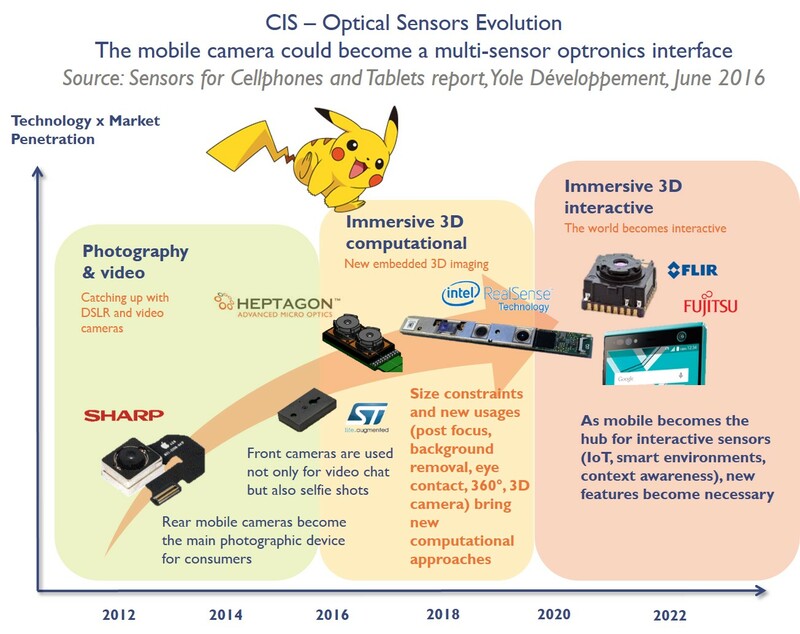 The direction of CMOS image sensor evolution. Damian Goldring, CTO, Consumer Physics Inc.
A compact, 4 channels fluorescence imaging acquisition system with no moving parts for molecular biology applications. Advanced Wafer Level Chip Scale Packaging Solution for Industrial CMOS Image Sensors. PRNewswire: OmniVision announces the OVM6946, its first wafer-level camera module for medical applications. With a compact size of 1.05 mm x 1.05 mm, a z-height height of 2.27 mm, 120-deg FOV and an extended focusing range of 3 mm to infinity, the 1/18-inch 400x400 1.75um pixel OVM6946 is suited for minimally-invasive endoscopes. Built on OmniVision's OmniBSI+T pixel architecture, the OVM6946 is said to be the industry's most cost-effective single-chip imaging solution for single-use endoscopes. "Cross-contamination risks, downtime inefficiencies, and high costs associated with repairs, pre-procedure testing, and sterilization of reusable endoscopes are fueling market interests in disposable endoscopes," said Aaron Chiang, director of marketing at OmniVision. "As a cost-effective and compact camera module with excellent image quality, we view the OVM6946 as an ideal solution for next-generation single-use endoscopes." The OVM6946 is currently available for sampling, and is expected to enter volume production in Q1 2017. "DIN SPEC provides instructions and recommendations for the design of the user interface of touchless gesture control in human-system interaction. Components of this document are central concepts, illustrating the process of contactless gesture control and the description, identification and representation (illustration) of human gestures. Furthermore, to define general rules for the design of usable gestures. Furthermore, examples presented touchless gesture. The DIN SPEC does not constitute a comprehensive catalog gesture nor a comprehensive list of applications, since these must be created industry- or application-specific. This DIN SPEC is intended for developers, product manufacturers, buyers, testers and end users of systems with gesture control. This DIN SPEC should together with E DIN EN ISO 9241-960 and ISO / IEC 30113-1 are applied and deals exclusively with the touchless gesture control specific aspects of the user interface in the human-system interaction." Sensors Journal publishes a paper "The Quanta Image Sensor: Every Photon Counts" by Eric Fossum, Jiaju Ma, Saleh Masoodian, Leo Anzagira and Rachel Zizza from Dartmouth College. "This paper reviews the QIS concept and its imaging characteristics. Recent progress towards realizing the QIS for commercial and scientific purposes is discussed. This includes implementation of a pump-gate jot device in a 65 nm CIS BSI process yielding read noise as low as 0.22 e− r.m.s. and conversion gain as high as 420 µV/e−, power efficient readout electronics, currently as low as 0.4 pJ/b in the same process, creating high dynamic range images from jot data, and understanding the imaging characteristics of single-bit and multi-bit QIS devices. The QIS represents a possible major paradigm shift in image capture." Illustration of photoelectron counting. The signal is the continuously sampled FD voltage from a TPG jot (with 0.28 e− r.m.s. read noise when operated in a CDS mode.) The FD voltage was changed by photoelectrons from SW (and possibly dark generated electrons.) Each single electron generates a fixed voltage jump on FD, and with deep sub-electron read noise, the electron quantization effect is visible. 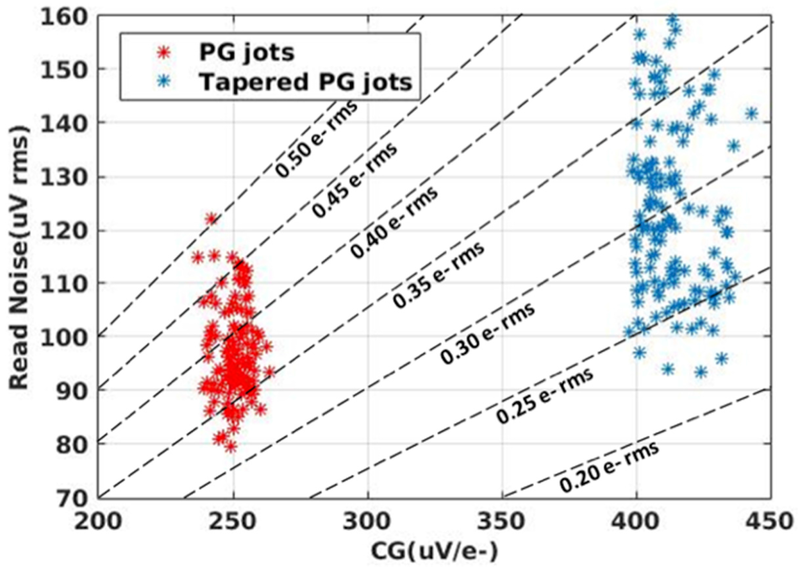 Scatter plot of voltage read noise vs. CG for PG jots and TPG jots. The read noise in e− r.m.s. levels are shown with dashed lines. The Wrap, Nikkei: Sony plans to raise $3.6b (440b Yen) through the issuance of new shares and bonds, all a part of its ongoing Mid-Term Corporate Strategy. "Sony plans to use the money from the issuance of new shares to increase its production capacity of stacked CMOS censors in its Devices segment, which it hopes will lead to additional profits. Further, the company wants to use the funds raised by the convertible bonds portion against capital expenditures for the segment and the repayment of debts. Specifically, Sony aims to use about 188 billion Yen from the common stock offering to fund capital expenditures in the Devices segment, and the remainder to fund R&D there. From the convertible bonds issuance, Sony will use 51 billion Yen to fund capital expenditures on devices, 25 billion Yen to redeem outstanding bonds upon maturity, and the remainder to repay longterm debts." "In the quest for Pokemon, some have suggested that 3D cameras would make a better job at catching the small monsters. The share of Lenovo did take a good 10% upward due to this rumor. With the recent release of Phab 2 Pro, Lenovo integrated a PMD made 3D camera making it the first Google Tango enabled phablet. We are entering into a new era of mixed reality interactions. Cameras and sensors that fit our smartphones will play a major role in this new era, actually they might even be one of the centerpiece." Newly announced Oppo F1s "Selfie Expert" smartphone features 16MP selfie front camera, while the rear one is only 13MP. 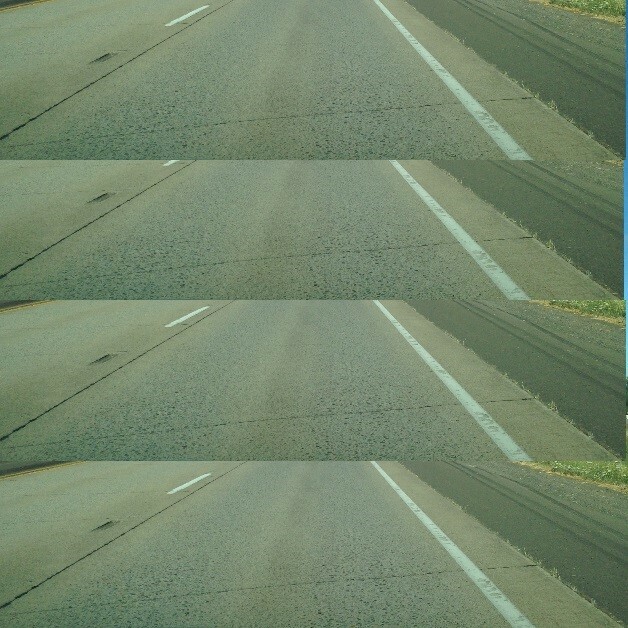 The front camera has a number of software extensions, such as selfie panorama mode. "A 1-Mega Pixels HDR and UV Sensitive Image Sensor With Interleaved 14-bit 64Ms/s SAR ADC" MSc Thesis by Ruijun Zhang. Delft University, The Netherlands, presents his work at Caeleste with fairly complete circuit-level overview of all blocks of the image sensor from pixel to digital output.